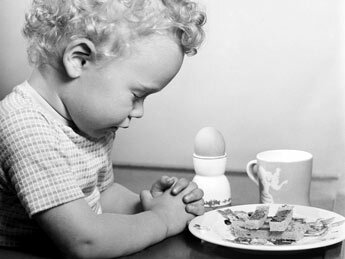 I have worshipped at many altars over the last 20 years, at least…..food, bulimia, disordered eating, excessive exercise, starvation, strict paleo, strict vegan, atkins, juicing, organic, fat-free….I’ve done it all. Funny thing is, none of these altars “saved” me from my struggle with myself. I thought if I ate the right foods, that I would be skinny, happy, have more money, be more popular, get a better job, etc. Not surprisingly, none of these things happened. Sure, I got “skinny” and maybe felt a little happier, if only temporarily, with my accomplishment, but it wasn’t real happiness. The thing that I really wanted, acceptance, can’t be solved with the latest diet, with being thinner, or eating the correct combination of foods. Depression, at least at this level, cannot be alleviated with the right vitamins or foods…it can’t. I hear it all too often. Take this or that to help with this or that. I’ve done it all. It’s not the answer, at least in my experience with myself and patients. And, ultimately, it just further depresses those with depression or those that are looking for the answers in these altars of chaos. Because, when the right combination of foods and vitamins don’t work to make us happy, we feel even more unfixable. Broken. Worthless. The third lesson in “A Course in Weight Loss” asks us to build a new altar. Suggestions were made to build an altar in your home. A place for meditation. A place that reminds you of love, of beauty, of peace, of surrender. We are asked to build a physical space, but I am tired of physical alters, and I can’t easily take this new altar with books, candles, flowers, music with me everywhere I go. So, after much thought, I decided on something that was more than physical and more mobile….myself. Yes, I am part physical, but I am also a being with feelings and emotions that is beyond the physical. My altar is within me…whether you call it love, self, God, or the hundred other names. It is with me even if I don’t call upon it, it is there. Even in chaos, sadness, joy, disappointment, or peace, it is still there, I am still there. So, now that my altar is built, I need to use it. I have decided to take a moment, as little as 30 seconds, before eating to focus on centering, peace, and calm. To focus on acceptance of who I am and how I am feeling for the moment, recognize frustration or disappointment, and let it go. To ensure that I am choosing foods because that is what sounds appetizing, and not because I am feeding an emotion. To realize that I am not what I eat, it does not define me, whether its an avocado or a cupcake, it does not make me good or bad. I am more than the food I eat. I come to my altar so that I may eat with mindfulness, savoring each bite and flavor, stopping when I am satisfied, and knowing that I can eat again when I am hungry. My altar goes with me. It is beautiful. It is light. It is love. It is me. It’s taken me over 2 weeks to write about the 2nd lesson, Thin you meet non-Thin you, in “A Course in Weight Loss”. We are asked to write a letter to our non-thin self. It was really difficult for me to do this. I don’t necessarily think I have a “thin-self” and a “not-thin self.” For me, thin or not-thin describe something physical. What I was doing with food had nothing to do with my physical appearance; it was my perception of my physical appearance that led to a poor relationship with food. There are many different parts of me just like there are many shades of blue. There is the confident me, the joyous me, the depressed me, the binging me, the purging me, the dieting me, the over-indulgent me, the me the eats wisely, and the me that eats dysfunctionally. But, they all make up me….the many faces of Eve. 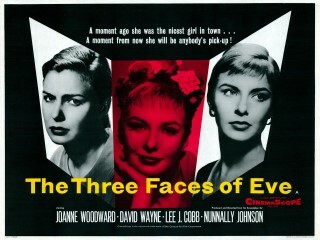 “The Three Faces of Eve” is a film adaption involving a case study of a woman with multiple personality disorder. While I do not have multiple personality disorder, I want to address this letter to the me that eats dysfunctionally. You have been with me for a very long time and you used to be such a bigger part of my life. You basically took over many years of my life with all your exercising, obsessing about food, weighing yourself multiple times daily, more exercise, more starving, more binging, more purging. I have to hand it to you, though; you sure know how to put up a fight. I thought it would be easy to shut you out, but I was wrong. I thought I could just will you to stop with this destructive behavior. I wished for you to just eat normally. And, you would appease me for a day or two until your controlling behavior emerged again. But, as I look back at even those remote “normal eating days”, it was still you that was in control. It was just another way for you to control things surrounding eating. You were just so powerful. After all those years of struggle, it was time to surrender. Even you grew tired of your behavior, you were worn out, exhausted, defeated. I realize that it was the willingness to accept you, to accept me, to accept us that allowed healing to flourish. I want to take a moment to apologize to you. You were not equipped to handle all the emotions that I dumped on you. These controlling behaviors involving food and weight were the only way you knew how to cope. I told you many things that might drive you to this. I told you if only I was skinner, people would like me more. I would be happy if I could lose 10 pounds. People would accept me if I wasn’t fat. I told you that my boyfriend broke up with me because I gained weight. I can be perfect if I could just fit into a size zero. I told you all these things and then some. You were only doing what you thought would help. It didn’t. Looking back, I know those things aren’t true, but perceptions can easily become reality. I hated you for so long, but I have learned a lot from you. I want you to know that you do not need to resort to such behaviors ever again. You are loved, accepted, and deserving of others’ love. I know you will always be with me. You are a reminder of sad times in my life. You remind me that it doesn’t matter what I weigh, it isn’t worth all that. You remind me that I am not defined by my weight or my jean size. You remind me that people like me no matter my size. You remind me that there is more to life than dieting, over-exercising, weight, binging, purging, etc. 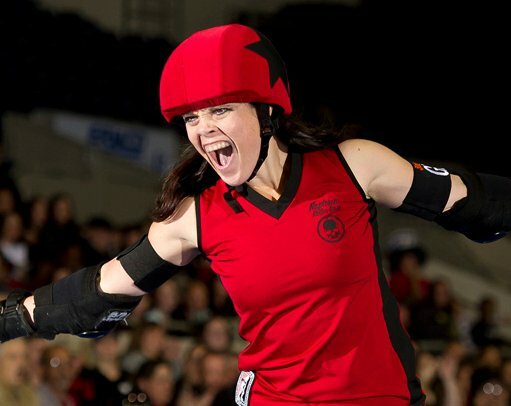 There is family, friends, kitties, smiles, hugs, running because I love to not because I want to lose weight, derby, massages, kisses, and much more. We’ll get through this, let’s keep on keep’n on. 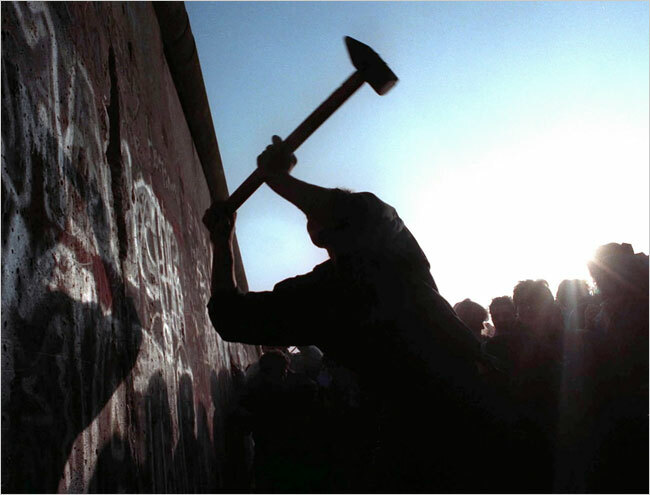 “Tear Down this Wall” has become a famous quote by former president Ronald Reagan when urging the then Soviet Union to take down the Berlin Wall to symbolize increasing freedom. And, so with lesson #1 of “The Course in Weight Loss,” we are asked to tear down our own symbolic walls of suffering and false perceptions that are preventing us from experiencing life and relationships to their fullest. While running the Berlin Marathon this past year, I remember pausing as I ran under the Brandenburg Gate to imagine just how an East German might have felt when they were first allowed to cross under these very gates to the West. I am sure I cannot truly comprehend, but I suppose they felt as if a weight had been lifted. As if a brand new world, literally and figuratively, had opened up for them. I got chills the moment that I crossed under those gates. While there was much heartache and suffering that lead up to the tearing down of the Berlin Wall, breaking a physical wall made of bricks is actually much easier than tearing down the emotional wall that we have created for ourselves. Each brick in our own wall represents some facet of our suffering that we have yet to release. For some, this wall manifests itself as a wall of fat shielding the sufferer from the world and people around them. We console and feed our suffering with food and excess….we cannot deal with our anger or fear and instead we try to eat our anger and fear. While I may not be overweght, I still have a wall that needs some tearing down to be totally free from the power that I give food and weight. “A Course in Weight Loss” presents us with words that represent the bricks of our wall. We are asked to reflect on each “brick” and contemplate whether it pertains to us. The words representing these bricks are as follows. Yep, that’s it. LOL! It’s enough to last me a lifetime. I am positive I will come back to this again and again. All of these bricks evoked some thoughts for me, but the heaviest bricks at this time in my life are those of selfishness, judgement, pressure, and arrogance. Selfishness. I grew up as basically an only child, I believe I became selfish because I didn’t have to share with anyone. As an adult, I still carry the need to have things my way, on my terms, when I want, etc. And, in doing so, I sometimes disregard the wants and needs of others. I have been working on this with my husband so that even if I don’t want to do something he does, I still go and do it because he enjoys it. It made me wonder the reason that I cannot have peace in seeing another joyful? Or the reason that it is so hard for me to do what others want to do? I think some is that I feel I’m wasting my time, but in my experience, even doing exactly what I want does not make me happy. I commit to opening myself up to those around me and experiencing what they enjoy or at least watching them enjoy it. Judgement. That’s an ugly one. I believe that being so critical of myself has manifested itself in being critical of others. After contemplating this oh so heavy brick, I believe by reserving judgement of others I may begin to experience a loving and nonjudgemental attitude of myself. I am certainly still working on this one. Pressure. I, no doubt, create this brick for myself. It’s my need to please and to not dissapoint that creates my pressure. I feel that I shouldn’t make mistakes in my job, at derby, at home, with my friends and with my weight. I put pressure on myself to try to be everything, but I end up failing and just fulfilling my own prophecy that I am never enough and am dissappointing. I need to allow gentleness to come into my heart. I am only 1 person. I can only do what I can do. I have realized over the last few years that I have a very hard time asking for help. It makes me feel that I failed, I should be able to do it on my own, it makes me weak…all of this is not literally true, its my perception. This year, I am going to reach out to a willing hand, a listening ear, an open heart. Arrogance. For me, arrogance is just a branch of judgement. I really do not have much confidence in myself. So, I think my actions of arrogance are a facade of confidence….to let others think I am confident when I am really not. The arrogance comes off in downgrading others to make myself look better. This is not healthy for that person or myself. This year, I am going to be conscious of others’ successes and allow them to relish in their success without making them unworthy in my mind. This wall wasn’t built in a day and it certainly is not going to be destroyed in a day. But, day by day, I will work on these bricks that give me a heavy heart and emotional shield. I will definitely still need to revisit lesson #1 time and again and again. I appreciate those that are still here with me as you read this long post. I am hoping that it provokes some thought for your own growth and provides you with the means to break down your own wall, brick by brick.